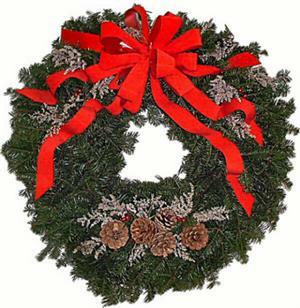 For the person who wants to have a wreath bursting with holiday color this is the one! A premium 24" balsam wreath decorated with German statice, berries & cones. This will be the showcase decoration of your home.